The cord on your headphones is usually more enemy than friend. While they obviously need it to function, a tangled or unnecessarily long cord can wreak havoc on your sanity. Personally, I've broken at least two pairs of headphones by tripping over the cord and yanking the jack right off of the wiring. There is a fix for that, but you can prevent the problem altogether by organizing your cords. 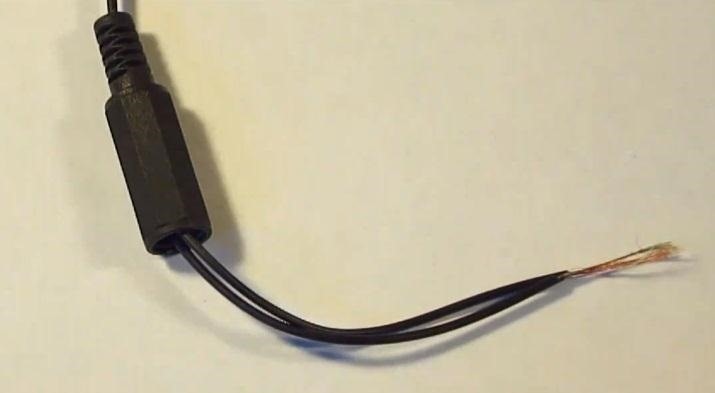 There are plenty of ways to wrap a cord so it won't get tangled, but you still have to unwrap it if you want to actually use the headphones. 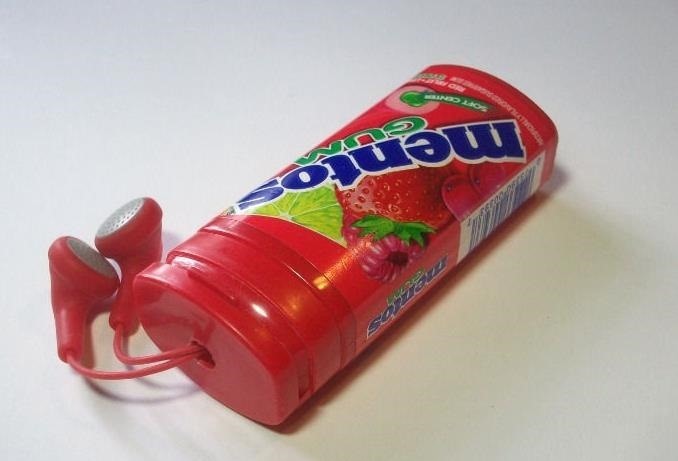 Instructables user Kris T. found a cheap, simple solution that allows you to simultaneously use and store your headphones in an empty Mentos container (or other similarly sized container). 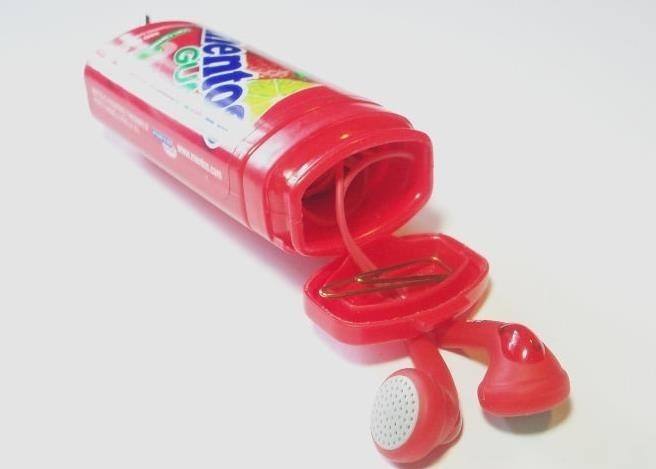 Using some pretty basic household supplies (two beads, two rubber bands, and a paperclip), Kris was able to turn a piece of junk into a fully functioning headphone container. The most complicated part is drilling a hole in the container. The beads hold the cord and auxiliary jack in place while the paperclip attaches them to the lid so you can adjust how long you need your cord to be. Check out the full tutorial for a step-by-step breakdown of the process. If you want an even simpler idea, you can keep your earphones in check easily using just a single bobby pin. By folding it into a "W" shape, you can weave the cords around it and stick the jack through the middle to hold them in place. Not a fan of bobby pins either? 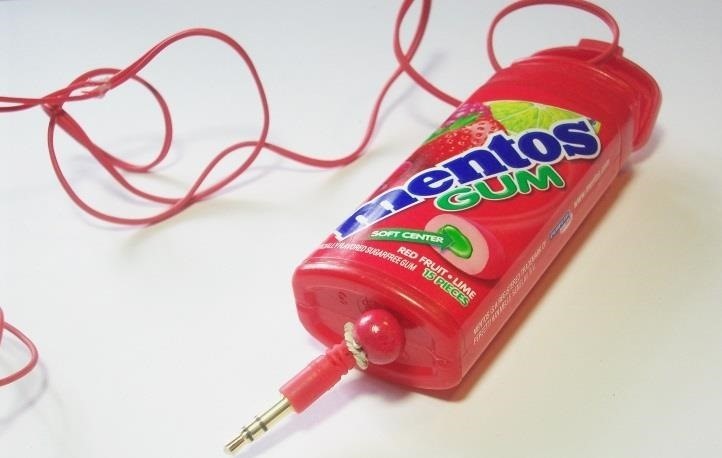 You can also just wrap up your cords using your fingers, then tie them into a bow that won't come undone in your pocket or bag while you're carrying them around. 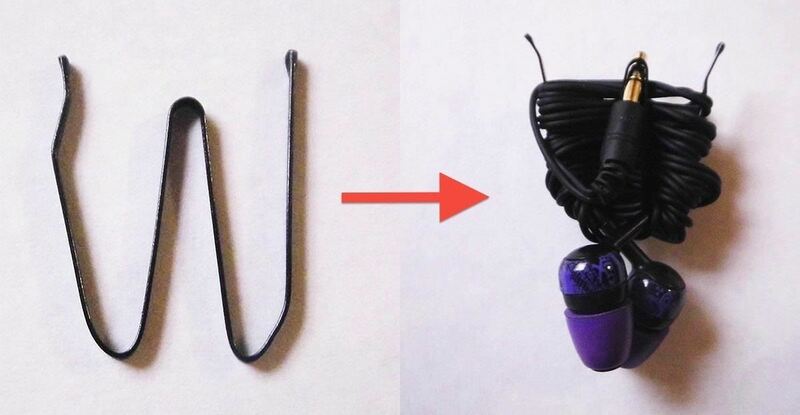 Know of any other clever ways to organize headphone cords? Let us know in the comments below.